Local law graduate Kate Machon is the latest young professional to secure a training contract at Huddersfield legal practice Wilkinson Woodward Norcliffe and Co.
Kate, who is 22 and lives in Greetland, studied law at the University of Leeds and completed her Masters and LPC (Legal Practice Course) at the University of Law earlier this year. 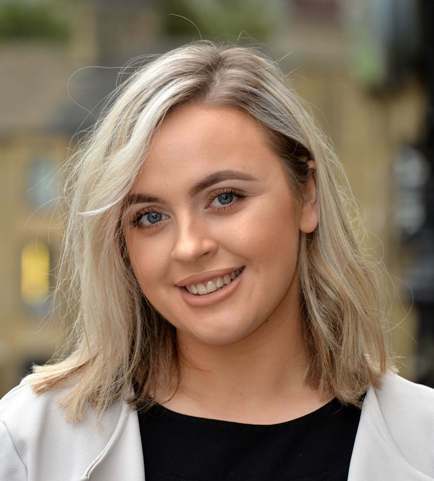 Having gained some initial experience at the firm whilst still a student, Kate has now accepted a training contract with Wilkinson Woodward Norcliffe and Co. Over the next 24 months, she will gain experience in all departments and is due to qualify as a solicitor in October 2020. As part of her two-year training contract, Kate will spend time at the firm’s office in Huddersfield, Brighouse and Halifax. She is currently based at their offices in Queen Street, Huddersfield.